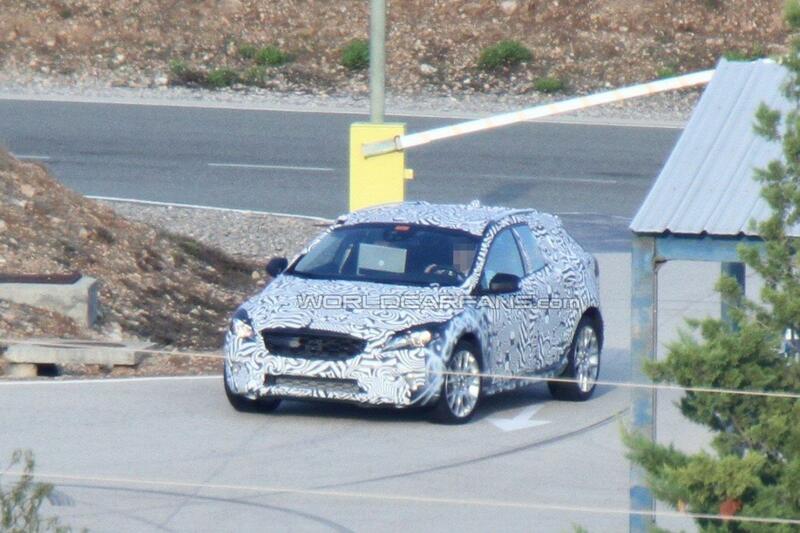 Spy photographers have nabbed the Volvo V30 again, this time without the fake body panels, as it undergoes extensive chassis testing on a private track in Southern Spain, alongside the upcoming Vauxhall/Opel premium supermini. Taken with a telephoto lens, the V30 appears to carry over Volvo's new design language, so expect a sleek, stylish fascia with bug-eye-like headlights and vertically-curved tail-lights. Inside, we expect the cabin to be influenced from the recent S60 sedan. Power will come from a series of new engines when sales start in the third-quarter of 2012.